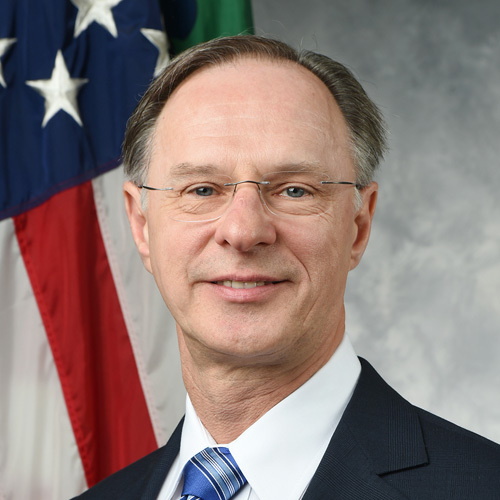 Daniel Kowalski is Counselor to the Secretary of the Treasury. He speaks regularly at Opportunity Zones conferences on behalf of the Treasury Department and is one of the key figures in the Opportunity Zones regulatory process. Click the play button below to listen to my conversation with Dan as he gives insight into what the second tranche of IRS regulations on Qualified Opportunity Funds may reveal. Treasury’s vision of the Opportunity Zones policy and how they believe the program can be transformational. They key issues that should be addressed by the second tranche of regulatory guidance — original use, substantially all, substantial improvement, working capital, leasing, asset test, and 50% gross income test. How the second tranche may allow a qualified opportunity zone business (QOZB) to qualify through safe harbors based on employment locations, allowing the business to sell to the world. 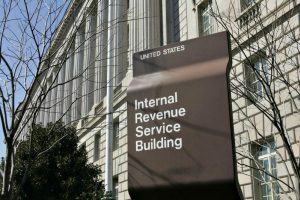 Why carried interest likely won’t qualify for preferential tax treatment. Clarification on the issues of secondary purchases, leveraged distributions, and interim gains. The concept of forming a prospecting fund and making the QOF election later to help ease some of the timelines. Liquidity options for investors when their tax bill comes due in 2027. The role of the White House Opportunity and Revitalization Council. The role that community banks, CDFIs, CDCs, and MDIs should be playing in opportunity zone community development. The different levers that local leaders can pull to bring Opportunity Zones capital to their communities. The next steps that the Treasury Department is taking and additional guidance that may come out later in the year. Jimmy: Welcome to the Opportunity Zones Podcast. I’m your host Jimmy Atkinson, and today I’m coming to you from the ASD Summit on Opportunity Zones at the Williamsburg Hotel in Brooklyn, New York. And with IRS guidance expected to be released any day, now I have the pleasure of being joined in person with Daniel Kowalski, Counselor to the Secretary of the Treasury. Dan, thanks for joining me and welcome to the podcast. Daniel: I’m very happy to be here, Jimmy. Thank you. Jimmy: Great. Yeah, I’m excited to begin this conversation that I think it’s a very timely discussion. So as I mentioned, your title at Treasury Department is Counselor to the Secretary. Can you tell me a little bit more about your role in the department? Daniel: Well, I help handle domestic policy issues for the Treasury Secretary. He has a fairly small staff of direct reports. I am one of those people. I handle some tax lead on opportunities zones. I also work on higher education issues, healthcare issues, social security. So a lot of the non-tax domestic policy portfolio. Jimmy: Good. And tell me a little bit more about your background. Can you tell me your personal story of how you got to be where you are today in the Treasury Department? Daniel: Well, I met the Secretary Mnuchin during the Trump campaign. He and I worked together on the Trump tax plan for the campaign. After we won the election, I expressed a desire to help him get tax reform across the finish line. And he hired me the day after he was confirmed. He offered to do it before he was confirmed, but I was superstitious and didn’t want to do that until it was all done. And so I’ve been with treasury and working for the Secretary since March of 2017. Jimmy: You didn’t wanna count your chickens before they hatch, so to speak. Daniel: That’s right. And I didn’t want to jinx this confirmation, right? Jimmy: Of course, of course. Not. So shifting to Opportunity Zones now, can you give me the big picture? What is treasuries’ vision for the Opportunity Zones policy? Daniel: Well, we believe Opportunity Zones can be transformational. We believe in the power of capital investment to provide economic growth and jobs and wealth creation in these communities. What we really see Opportunity Zones doing is promoting a partnership between those with capital and communities that haven’t seen investments in years. Basically, the incentive will provide a reason for people to take a look at some of these low-income areas and determine and see that there’s potential there and ideas there that can be invested in and can lead to growth and wealth creation. Jimmy: And the first round of IRS guidance, the first tranche of regulatory guidance, so to speak, came out last October and there is an IRS hearing this past February on Valentine’s Day. Daniel: It was. Yes, exactly. Jimmy: The second tranche was completed by your department, more or less and submitted to OIRA which is a division of the White House Office of Management and Budget, I believe is… Did I get that right? Jimmy: And that second tranche should be released and available for public comment by the end of this month, I’ve heard you say it a couple of times, if I understand correctly. What are some of the key issues that should be addressed by this second tranche of guidance? Daniel: Well, a number of them we had spoken about in the preamble to the first tranche, which included what’s original use, what’s substantially all, what does it mean for substantial improvement? And we’ll talk about substantial improvement more in the context of an operating business. I think that that’s important. What we’re trying to get at in the second tranche is how can we expand from real estate into operating businesses? We’ll talk a little more about how working capital fits into this, whether it should be applied to the operating business and not just the real estate context. We’ll talk also about leasing and the importance, leasing is so important to how businesses actually get things done. You know, the statute doesn’t speak explicitly to how leasing should be handled and we’ll provide a good explanation of how that works into the calculation of the asset test. We’ll talk also about how the 50% of gross income test works for a qualified Opportunity Zone business, which again is something that’s very important. We’ve said on a number of occasions that we don’t want Opportunity Zone businesses’ income to have to come just from the Opportunity Zone that, that would be far too limiting to unlocking the potential that these areas have. And what we’ll provide in the regulations are some, what we hope are easy to apply safe harbors that will let us know that there is indeed sufficient substantial business activity taking place in the zone. Jimmy: No, that’s okay. That’s okay. I was gonna ask you about the issue of the 50% gross income test for qualified Opportunity Zone Business or QOZBs. That’s caused some concern because, you know, people are seeing it and say, ”Well, what if my business grows and we start selling, more than 50% of our income starts coming from outside the zone. Will I be able to invest in a business that sells primarily outside of the zone?” And can you offer some clarification on that concern? Daniel: Yeah. Well the clarification is we hear you and we understand and the next set of regulations will address some, I think fairly simple rules based on things like employment or where managerial decisions are made, the types of activities that one thinks about as being sort of headquarters related. And to the extent that that is in the zone, you will be perhaps able to qualify through the safe harbors. Daniel: To sell to the world. Absolutely. Daniel: I mean ultimately we want to see the next Google come from an Opportunity Zone. We want businesses that make a big impact to locate these areas and bring jobs and growth and help to bring them up. That’s what Opportunity Zones are about. Jimmy: A qualified Opportunity Zone business needn’t be only a drycleaners or a carwash or some local businesses like that. Daniel: Absolutely. Although, although certainly those things will be important. And I think those are going to be the pathways to wealth for some of the residents who are in these communities, right? Daniel: But the engine may well be the entrepreneur from outside who comes into the zone and says, well, I’ve got to start my business somewhere. This is a good somewhere. I’ve got an incentive for being here. We’re gonna help where I’m gonna grow my business and if it grows this neighborhood so much, the better for all of us, right? Jimmy: That’s right. Yeah. I can’t argue with that. Could you briefly touch on a few other issues that you’ve spoken publicly about? You mentioned leased property in a previous question, but I know the issues of leveraged distributions, secondary purchases, interim gains, carried interest, how that may be treated. Can you touch upon some of those topics? Daniel: Yes. We’ll start with carried interest. On that one, it seems to us that the statute is clear, that the cash that is eligible for tax-free benefits, the capital that’s eligible for tax-free benefits has to be from capital gains and it has to be deposited in cash and to the fund. And carried interest is really not that because it’s not coming from previously earned capital. And so it probably will not qualify. Jimmy: Probably not what some people wanna hear, but I think you’re right. It’s not that the capital that is receiving the tax exemption. Daniel: Right, exactly. And ultimately the industry will learn how to work around that ultimately. I mean, you will at least know for a developer, well you were paying tax on that whether it was in an opportunity or not in an Opportunity Zone, to the extent that you’re getting business that you wouldn’t have otherwise, that that should be okay. With respect to secondary purchases, it seems to us that as long as the tax consequences for both the seller and the buyer are handled appropriately, there should be no issue with that. Leverage distributions, the statute is clear that there’s no basis in the capital gain that is deposited into the fund upon deposit. So you really won’t be able to withdraw that until there’s basis from that which will come, you know, certainly after 10 years when all the basis comes back. But before that point, if there is any appreciation in the business and someone in a bank is willing to lend you the money to be able to extract that, you should be able to extract that value. And that’s basically the way real estate works generally. We’re not trying to disrupt the way the industry typically works. But I think it’s important to note that what’s different is that you haven’t paid tax on the capital gains deposited into the deal, right? And so you shouldn’t be able to withdraw that from the deal without tax consequences since you didn’t have any tax paid on it in the first instance. Jimmy: That seems to make sense to me. Jimmy: And interim gains was another point. Daniel: Interim gains it’s tough. We understand that, that there are some who would like to be able to start a business and then sell it and then move on. We don’t believe that the statute provides for that if you were to write the statute different. If you were to write the statute to say that the QOF wasn’t a taxpayer in our view it would look differently just textually. And there’s also from our standpoint some concern that it may not be an appropriate policy either because part of what we’re trying to do here is to redevelop low income communities and the in and out that might go along with the churn may not actually be that beneficial for these communities. I mean I think we see the long-term partnership as being an important component of the program. Jimmy: At the end of the day, the intent of the program is to create more jobs and revitalize low income communities. Daniel: Right. And if they don’t stay there, it’s hard to see where that… it makes it harder to see that that goal will be achieved. Jimmy: Sure. You spoke last week. I heard you speak in Dallas at the Coasis Coalition Opportunity Zone SuperConference. And today I heard you speak here in Brooklyn at ASD Summit on Opportunity Zones. You mentioned in both instances the concept of a QOF or an investment in an Opportunity Zone setting up as a fund first primarily to do some prospecting work and then later on making the QOF election, which is kind of an interesting concept. Can you speak more to that? Daniel: Yes. There’s nothing prohibiting a fund from being formed in order to think about investing in a Qualified Opportunity Zone. So that QOF could potentially use borrowed money or someone could contribute non-capital gains income to that, you know, the mixed fund investment which is allowed under the statute so that you can go out and help do some of the pre-development activities that need to be done. You could perhaps even go so far as to do some permitting activities and things like that. What has to happen under the statute, however, is that the QOF must be qualified before it accepts capital gains income into the fund. So you can do a number of activities to get yourself set up for then being able to take the tax preferred investment. And then once you have the tax preferred investment hit the ground running. And then some of the daunting timelines that the statute seems to provide might look a little less daunting in that case because you have a clear vision of what you’re trying to accomplish once you get the capital gains income. And you can get that into the fund and then, you know, move forward with your plan using the 31 month working capital. Jimmy: It gives it a little more runway before that 31-month clock starts ticking. Daniel: Precisely. And that’s why I pointed it out last week because that may not necessarily be apparent to everyone. And I think it’s important that as you think about it, that there are ways in which you can approach a development project responsibly here and still not run afoul of some of the timelines. Jimmy: Sure. That makes sense. Sorry if I’m making you repeat yourself here a little bit, but I wanna go back to, you spoke about leverage distributions. And I had a question for you about investor liquidity in 2027 when that tax bill comes due on the original gain. Can they draw out capital from the investment or what kind of capital are they allowed to draw out from the investment to be able to pay that tax bill? Daniel: Well, certainly they always have the option of refinancing, right? In 2027, they may also have some basis as well, and you can withdraw the basis. There’ll be more on how the 5% and 10% basis bump ups work in the next set of regulations. And those are things that could help address this situation. Jimmy: Good. That’s the 10% and 15% basis step ups. Jimmy: Right. Yeah. President Trump signed an executive order last December that established the White House Opportunity and Revitalization Council. What role do you see the council playing in Opportunity Zones? Daniel: Well, the council will help investors in Opportunity Zones know what other federal resources are available to help them take on the task of redevelopment in some of these low income communities. So for a manufacturer who wants to build a new plant in an Opportunity Zone but is concerned about workforce, say are there things being done by the Labor Department, Education Department? Are there other resources that they can bring to bear to ensure that you have the appropriate workforce for when that plant opens? Similarly, for investors who say they wanna do a real estate deal and they’re a little bit short, are there other federal incentives that could be used to kind of be a gap closer in that case? And part of Opportunity Zones is to bring new people into investing in these communities. And they may not be as familiar with some of the existing resources because that’s not their world right now, right? And so what we’re trying to do is to use the council to make them have almost a one-stop-shop where they can know what other resources are available, how can those be brought to bear? And we’re also considering through the council whether it’s possible for some of these programs to grant preference points or other in a tie breaking situation, would those grants go to an Opportunity Zone over a non-Opportunity Zone because of our desire to help build up these communities. Jimmy: All else being equal with two separate projects. If one’s in an OZ give it a little nudge. Daniel: Yes. That’s correct. That’s what we’re thinking and, and in some cases that may be easier to do than others, but the council, agencies and staff are going through a process right now of looking to see where those opportunities exist. Too much opportunity. Too much use of the word opportunity, right? Daniel: It is, absolutely yes. Jimmy: …but I don’t mind it. What role do you see community banks, CDFIs, CDCs, MDIs etc. are playing in Opportunity Zone, community development? 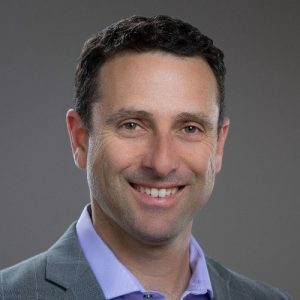 Daniel: Well, I believe they can serve as an important middleman between the communities and the investors who aren’t as familiar with these communities. They have capacity and intimate knowledge of the places where they operate. And so can really help serve as the bridge between someone who may not have the familiarity because remember we’re looking for Opportunity Zones to bring new investors into these areas to basically help both sides of the transaction understand each other a little bit more. In addition, you know, CDFIs could serve as some of the financing mechanisms as can MDIs. So I think there are roles for these organizations in the Opportunity Zones ecosystem. I think that’s still being worked out in the field though. Jimmy: Yeah, it seems like we haven’t really seen them step up yet the way that, that we might have expected them to or might like them too. Daniel: I would agree with that statement. Yes. Jimmy: What can local leaders do to bring capital to their communities? What kind of levers can they pull? Daniel: Well, I think they have a number of levers. I think the first thing they can help do is to help the affected communities determine what makes sense to try and do and in the particular opportunity zone. I’ve said at other talks that I’ve given that this is the time for communities to look at ideas that they had that haven’t penciled out in the past and see whether or not the Opportunity Zone incentive is enough to kind of kick that from a nope, can’t do it to a yes, we can do it and then to go out and do that. I think local jurisdictions can also be helpful in understanding the tightness of some of the timeframes in relation to opportunities, zone investing. And so to the extent that they can expedite processing of permits or other entitlements that may be necessary from the local government to be cognizant of that and make it ultimately a policy of that community to say that we welcome Opportunity Zone investing. And these are the things that we’re gonna do in order to try and make that happen. We’re gonna do what we can. And that reduces costs too, which makes it an even better business prospect perhaps. Jimmy: Whatever they can do to eliminate some of that red tape up front for Opportunity Zones. Daniel: Exactly, would be, would be most welcome. Jimmy: So Dan, just to wrap things up here, I wanna get your take. What will we see in further rounds of guidance later in the year and what are the next steps that the Treasury Department is taking? Daniel: Well, right now we are working to get the second set across the finish line. There are certainly going to be some things that are left unsaid, particularly on the abusive situation penalty type of how do you unwind a clearly fraudulent activity and how do you unwind that, right? We’ll speak to those kinds of things I think that can be somewhat complicated to write. And so we’ve put that towards the end because what we’re trying to do at treasury is to provide the guidance that’s needed for investment to occur first. And I believe that we’ll be in a pretty good situation with respect to that after the second set comes out. The next set would then, you know, get into the comments. We certainly at Treasury welcome all listeners’ comments on aspects of the regulations because that’s important to us. So I think as readers, careful readers will see we listened to some comments in the first instance and are going to make revisions in the second set of regulations that are in response to some things that were done in the first. And I would expect that that same tradition would occur in the third. And in addition to kind of other things that might have been left out and some of this final how do we identify and explain what happens to bad actors? Jimmy: So correct me if I’m wrong, but I think this second tranche will go a long way toward, I don’t wanna use the word finalize, but you know, finalize the regulations as much as they can be. Investors should have a lot of confidence going forward after the second set. And then the third set later this year will be more reactionary putting in bad actor provisions. Daniel: Yeah, I would not expect investors should be able to say that they’re waiting for further guidance after they see the second set of regulations. The second set of regulations clearly will not answer all questions I guess in the year and a half that I’ve been involved in this. Everybody’s got a slightly different business case that won’t be addressed in the regulations. But what you will have in the regulations is a set of principles and safe harbors, bright line kind of test that will give you the ability to say yes, that fits my situation or it doesn’t fit my situation. So by listening to people who want to work in this field, reading the comments, I think we have addressed many of the concerns that have been issued. And so I believe that there’ll be the information out there in a few weeks that I think the community will need to be able to digest and say, okay, this is permissible. I’m not gonna get burned later, which is what I think people are afraid of. Jimmy: And when that second tranche is available for public comment, how can my listeners submit public comment? What’s the best way for them to do that? Daniel: Well, all the comments should be submitted through regulations.gov. I’m sure you will post on OpportunityDb links to the regulation. Daniel: And you’ll have 60 days from when they hit the federal register in order to make your comments. That will all be prominent. It’s a web-based system. You can upload documents or you can type it in into a form. No way is better than another. Okay. But what’s important is that you let us know whether this seems to be helpful or not helpful and if not helpful, how the decisions that we’ve made are contrary to the statute because that’s…the important thing is we are providing guidance on a law that Congress has passed. And our job at treasury is to try and faithfully execute that law. So we can’t write a new law, but we can do the best we can and are trying to do the best we can in order to make Opportunity Zones a useful and friendly business development tool. Jimmy: Excellent. Well, for my listeners out there, I’ll have links to regulations.gov. And all the other resources that Dan and I discussed in today’s episode on our show notes page. You can find those opportunitydb.com/podcast. Dan, thanks so much for your time today. I really appreciate it. I know you got to head out and catch a flight soon, so safe travels, and I hope to hear from you soon. Daniel: Well, thank you, Jimmy. It was very enjoyable, and a pleasure. Thank you.